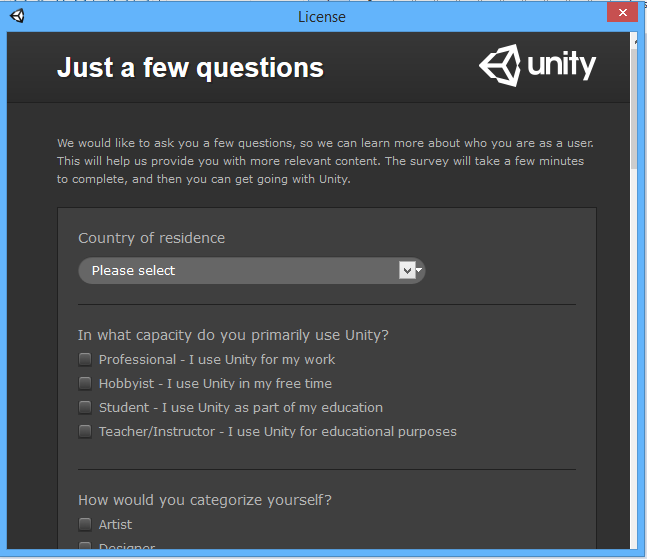 Today I will show you how to install Unity 5 for free. First will need to download it from official website – free download. 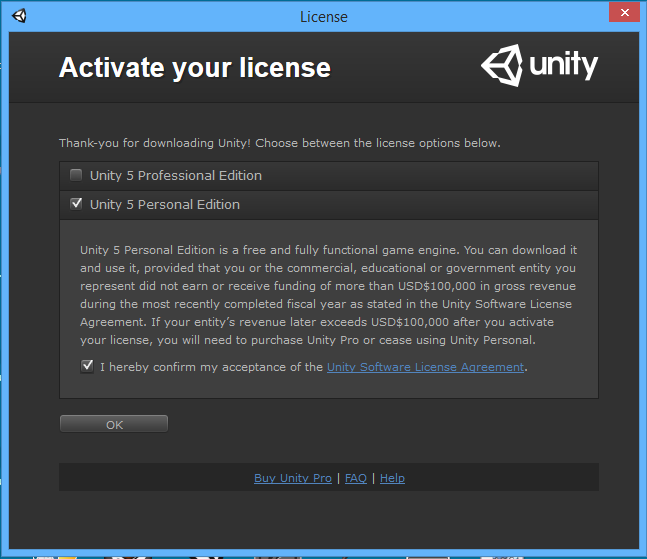 You need to follow this steps: Select Unity 5 Personal Edition. 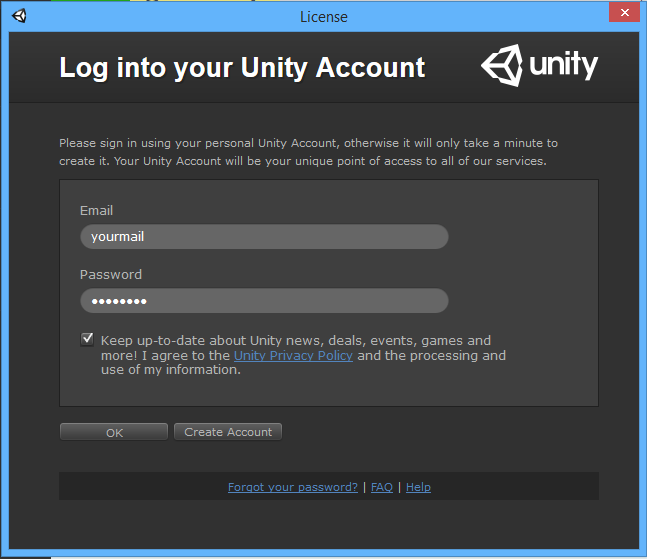 Fill with your email adress and password from Unity website account. 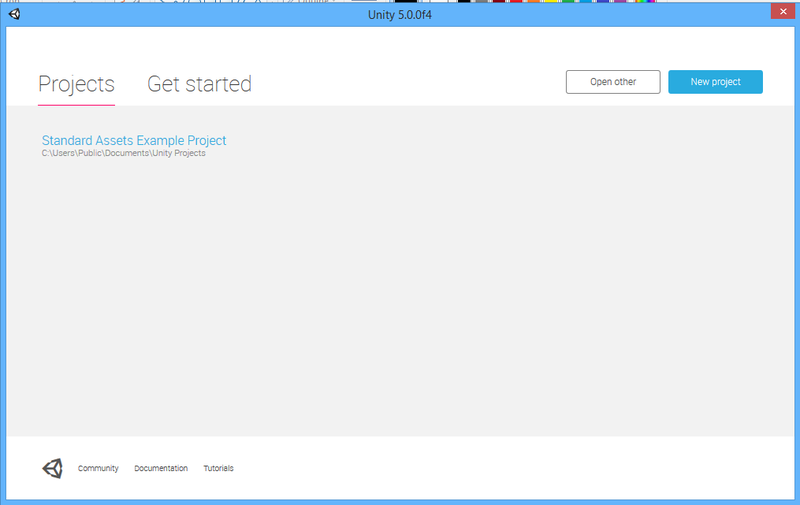 Press the blue button Start Unity and will be ready to start your project.